The Linode server was initially very frustrating for the first couple days (turns out this was mostly Cloudflare/my fault) but now that it’s up and running I barely have to worry about it at all. The $5 tier has been more than enough even for nearly 500k monthly visitors and 100-200 concurrent users, and upsizing will be a snap when it comes time. Cloudflare helps a lot with traffic peaks as well. 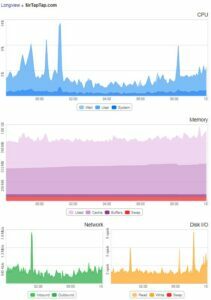 Linode has lots of slick stats options too, and I’m a big fan of data visualization, so that’s been fun. I initially wanted to spend as little time as possible on the technical side, but as the site’s grown I’ve gotten deeper and deeper into the nitty-gritty of full-stack web dev. I also moved my email to Mailbox.org, not having to worry about running my own SMTP server is more than worth the dollar a month. I gotta admit, I strongly dislike Facebook. But this year my Facebook page has taken off quite well and the community there has been quite nice. I do my best to keep my YouTube comments clean and pleasant as well (like everyone should!) but it’s nice to wade into a community and be mostly impressed by the positive response. Visits have really been booming, mostly due to the AbyssRium guide, but also lately my Animal Crossing Pocket Camp guide. Stats are up year over year, and they were already amazing December of last year (when I had to urgently upgrade my hosting plan just to stay online!). 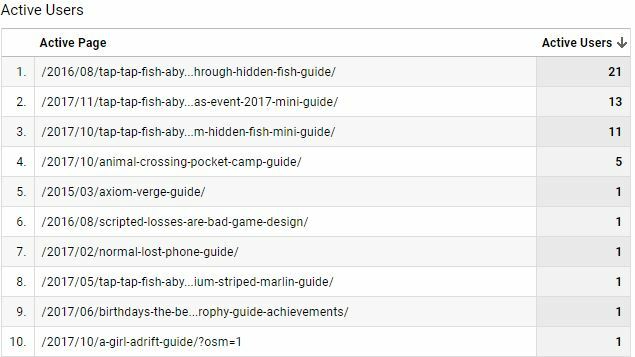 AbyssRium and Pocket Camp have been strong draws, but I make lots of other guides and articles as well too and it’s been great to see many of those still get consistent traffic. For example below is a screenshot of my Realtime visitors as I write this; an “average” day now, but one I would have killed for just last year! Earlier this year I would pretty much only ever see a few people on the AbyssRium guide and 1 to 0 users on other guides. Being able to see visits to the site in realtime has been super cool. It’s been very encouraging to find that a self-rolled site like my own can still squeak into Google and help thousands of people with a well-written guide. SEO seems like scary black magic, but I’ve been really impressed in how Google really does seem to properly surface good information…at least if you’re the only one with the info. There’s also been a few major new features I’ve implemented on SirTapTap.com! My latest addition to the site is Push Notifications (those things mobile apps send you). These allow me to keep people up to date without relying on emails/social subscriptions/etc. I keep them sparse (maybe once a week), but it’s been nice to notify regular readers of updates to major guides, new articles/guides, etc. I currently use OneSignal to make sending them easier, and I can send notifications timed around the last time you visited the site, helping avoid the “push notification woke me up” disaster scenario. (Though personally I set Quiet Hours on my device to obviate that possibility entirely). Unfortunately Push Notifications are limited by platform support, and iOS Safari (thus about 40% of my viewers) doesn’t support it. Safari is finally expressing development interest for Progressive Web App features, so that may come some time next year. Chrome and Firefox support them on Desktop and mobile, and MacOS Safari also supports them. Eventually I hope to be able to tag user “interests”, so only people who visited the AbyssRium guide would get push notifs about AbyssRium updates/etc. As there’s only so much I can do solo, that’s on the waiting list for now. 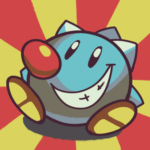 It’s still not supported in all browsers, and the offline caching doesn’t seem 100% foolproof yet, but SirTapTap.com is also a Progressive Web App as of several months ago. As a PWA SirTapTap.com can cache pages for offline use, be installed as an app from supported browsers, send Push Notifications and style itself much more like a native app. If installed from Chrome on an Android device, it can even install an icon into the App Drawer and be launched and used identically to a native app! The coolest feature of this is my site and guides can now work totally offline, so a connection hiccup shouldn’t interrupt browsing unless you try to load an uncached page—and even then you should get a properly styled “offline” page rather than a big ugly error. I still get requests to make a mobile app, but for now this technology is much more open, easier to use, and integrates seamlessly with my current site with almost zero overhead. At some point I’ll look into setting up a mobile app (it will just be the content of the site packaged in an app), but that’s next year at the very earliest. I’m a big proponent of the Open Web and it’s allowed me a lot of opportunities that starting on a mobile platform simply wouldn’t have, so the website will always be top banana. The site now lazy-loads images thanks to BJ Lazy Load and has various other performance improvements thanks to Above The Fold Optimization which have rapidly become two of my favorite plugins. These help my site load fast even on slow or throttled Mobile devices and connections, making it more pleasant to use and available to all. They also reduce data usage which can even save people a few bucks due to the ridiculous trend of bandwidth caps (sigh). Overall, it’s been a great year! I’ve been a bit more stressed out and a bit less up to date than I’d like to be, but that’s life. Growth and the community have been great, and it’s great to see how building your own website can still work so well despite the pervasive idea that you need to be entirely on Social Media, in an App, etc. I’ll gladly bolster my Brand™ using FaceTweet etc, but having direct access to my audience on my own site which I can control completely is something I wouldn’t trade for the world. Next Next post: Fan Art: TapTap vs the trees of Grow Island, by Cremexbutter!